Several members of the Fellowship in America attended the 1992 MLA Convention in New York in December. On the 28th they gathered together for a Dinner Meeting at Warwick Hotel, New York City. Harriet Williams, Vice-President of the Fellowship, presided; Linda K. Robertson was moderator of the Special Session discussion; Marjorie Goss was Recorder. Others present were William Baker, Catalina Hannan, Conrad Harper, Shoshana Milgram Knapp, Michael Wolff, and Joanna Yin. The Fellowship gave a toast to the immortal memory of George Eliot. The discussion began with the matter of continuing to try to get Allied Organisation status. This requires the acceptance by MLA of two proposals for Special Sessions in two different years. Linda circulated a list of some of the titles accepted for this year's sessions to indicate what's 'selling', and read the Association's letter explaining the non-acceptance of the Fellowship's proposal for this year. A discussion of possibilities for next year followed. Linda indicated she didn't think she should again be the proposer of a session and said that Bill Baker had agreed to take this on. 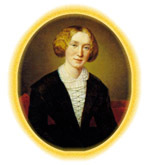 She read a proposal from Hugh Witemeyer on gender issues in George Eliot's life and work. Other possible topics briefly discussed included George Eliot and class issues, the philosophy of science, and philosophy in general. Bill Baker proposed the title 'George Eliot and George Henry Lewes: Philosophical Aspects of and Philosophical Influences on Their Writing.' There was a group agreement on this topic for next year's try.